Book Grants are given both to students who live in the Parish of Bideford, who have just finished secondary education, and also to students who live in the north of the Parish but to the south of the Link Road. 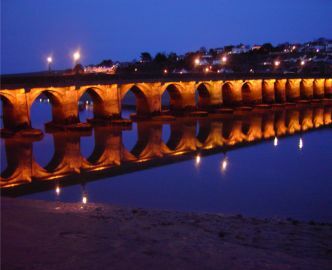 Discretionary Bursaries are only given to students living in the Parish of Bideford. Persons living in Bideford and its immediate neighbourhood who are similarly going onto or continuing higher education may be eligible for assistance in the event of severe financial hardship (please note that “severe” indicates something over and above the necessity of seeking a student loan). Each of these cases are considered in any event on their own merits. In addition, any other persons generally commencing a further education course are again eligible to apply for assistance to be considered on its own merits. Grants were awarded last year up to £150. For further information please write to The Steward, Bideford Bridge Trust, 24 Bridgeland Street, Bideford, Devon, EX39 2QB, or alternatively telephone The Steward’s Assistant on (01237) 473122. This entry was posted in Local Business, Local People and tagged Bideford Bridge Trust, Bridge Trust. Bookmark the permalink.